Cape Town – Former Government Communications Information Services CEO Themba Maseko has been appointed director of communications at Business Leadership South Africa (BLSA). “BLSA is delighted to have Themba Maseko’s wealth of experience to drive our media and stakeholder engagement strategy to make business more relevant to the needs of South Africa,” said CEO Bonang Mohale in a statement on Monday. Maseko said his “immediate priorities will be to make business more accessible and to work with social partners to tackle key issues such as transformation, unemployment and inequality facing South Africa”. Maseko told City Press in 2016 that President Jacob Zuma pushed him out of his role because he did not comply with a request from the Guptas to send government advertising spend to the New Age newspaper. He also told former Public Protector Thuli Madonsela that he was called to a meeting with Ajay Gupta in 2010 and told to channel government advertising to The New Age. His testimony to Madonsela formed part of her State of Capture report, where she explained that Maseko was in charge of a media buying budget of just over R600m a year, the report states. Maseko informed Ajay Gupta that the GCIS performed market research and decided on the client's target market before selecting the right medium of advertising. “Mr Ajay Gupta apparently stated that 'tell us where the funds are and inform the departments to provide the funds to you and if they refuse, we will deal with them. If you have a problem with any department, we will summon ministers here'," he said. Gupta-owned Oakbay Investments denied the accusations at the time. 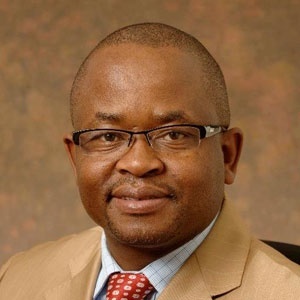 BLSA said Maseko has held senior roles across government and private sector as founder and director of Ricopart Investments, director of Muvoni Investment, former director general of Public Works and superintendent general of the Gauteng Department of Education.